Preshrunk fleece knit. Satin Label. No pockets, no side seam, elasticized cuffs. Covered elastic waistband with drawcord. 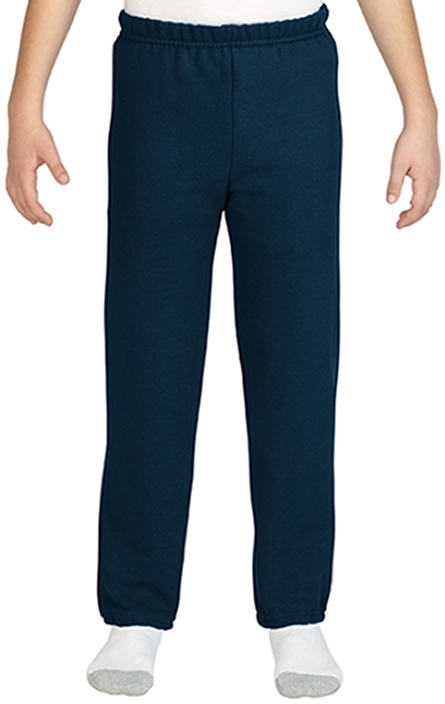 Double-needle bottom hems.Color: NavySize: SmallMaterial: 50% Cotton, 50% Polyester 8.0 oz.